The all-seasons indoor composter in the picture is the same one that I have! I got it for Christmas and I’ve been using it ever since. It really doesn’t smell at all but even for a household of just two people, it fills up very quickly. I sloshed it around this weekend and there already tea in the bottom. My main complaints with it are 1) it’s too small 2) I’m not wild about having to buy more Bokashi when I run out. I was thinking about composting in batches and transferring the more broken down stuff to a bigger container but I live in a condo with an itty bitty porch in the back so I don’t think my neighbors would entirely appreciate it. What about using a little good healthy soil to supplement the Bokashi? The organisms should be getting into the soil and taking care of business, no? We’re huge advocates of vermicomposting in Somerville, MA because so few people have back yards in our community. 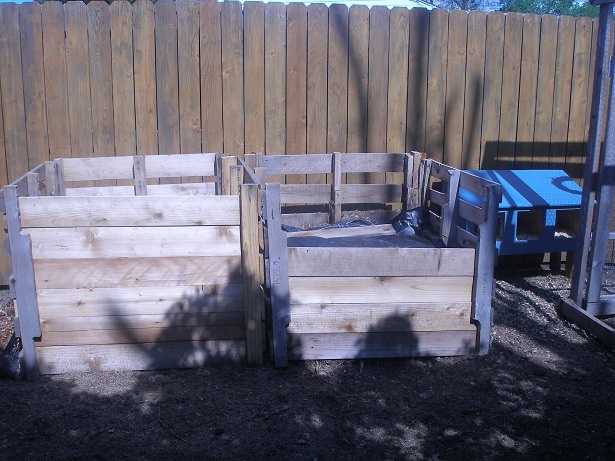 It’s an awesome way to reduce trash and make great fertilizer. We even sell worms where I work, Groundwork Somerville, with great success! We’ve been composting for a while with worms and love it. They are incredibly easy to care for, and their compost is incredible. It’s also great to see the look on your guest’s faces when you tell them you have a bin full of worms in the pantry.